How often you take your dog to the vet depends on your dog’s life stage and general health. For example, puppies and senior dogs need more frequent visits, while healthy adults have annual check-ups. If you’re nervous about the cost of vet visits, keep in mind that preventative health care can keep your pet healthier longer, and may even save you money in the long term. In general, all dogs should have a complete physical check-up at least once per year. Think of it as routine maintenance for your dog. These wellness exams give you a chance to track your dog’s growth and development and discuss any concerns with your vet. Most importantly, annual examinations are a key part of preventative care. Preventative care is an umbrella term for all the stuff you do to take care of your dog: good nutrition, appropriate exercise, and regular vet care. The idea is that by taking your dog for routine wellness exams, you can make informed choices that benefit their health. You’ll also find out about illnesses or issues early, which can be key in successful treatment. During annual wellness exams, the vet will give your dog an all-over check-up. They’ll listen to their heart and lungs, look at their eyes and ears, check for fleas etc. They’ll also update any vaccinations needed. After the exam, the vet may make suggestions for your dog’s nutrition and dental care, or recommendations for activities and medications specific to your pup’s health status. Birth to one year: vaccinations and more! When you get a puppy, you become well acquainted with the vet! 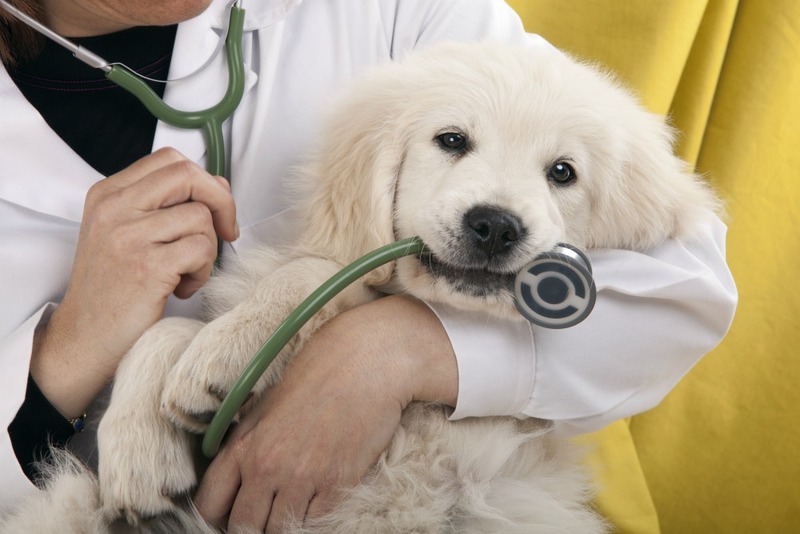 Monthly wellness exams during early puppyhood are recommended. That’s once every 3–4 weeks until they’re 16 weeks old, following a basic vaccine schedule. Here’s a basic vaccination schedule for young puppies. 8 weeks: first DA2PP injection (combined vaccine for distemper, hepatitis, parainfluenza, parvo and corona). This one is given in a series over your puppy’s first year. 14–16 weeks: third DA2PP and Lepto. Rabies is also given at 16 weeks or older. Keep in mind, your puppy’s vaccination needs and schedule may vary depending on your location and your puppy’s health. Work with your vet to establish an appropriate course for your pup. If your dog goes to doggy daycare, they’ll probably get a kennel cough vaccine during this course. Once the vaccine schedule is done, you may not come back until your puppy is spayed or neutered, anywhere from six months to over a year of age. Adult dogs typically need annual wellness exams. As your dog ages, the annual exam will continue to include a head-to-tail checkup, dental exam, and often, vaccination updates. At an annual exam, the vet will also ask about your dog’s behaviour, training, and overall wellness. Depending on concerns you bring up, or observations the vet makes during the exam, they may recommend other tests or treatments. Ideally, you’ll form a friendly and productive relationship with the veterinarian over time. And if your dog’s not a fan of these vet visits? At least you only have to go once a year! Older dogs have more particular health needs and are more prone to illness and age-related injury. For that reason, senior dogs should see the vet semi-annually, approximately every six months. In addition to the regular wellness-check stuff, your vet may recommend a variety of diagnostic tests for your senior dog. These can include annual blood testing. Diagnostic tests help your vet assess your dog’s health, and also provide a baseline which future tests can be compared. The results can be super-helpful later on if your dog develops an illness because the vet can go back and see what “normal” looks like for your dog. As your dog gets older, your vet may recommend more frequent visits depending on their health. More frequent vet visits will catch changes more quickly and can give your vet more time to treat issues as they arise. Ideally, annual and semi-annual visits will be the only veterinary attention your dog needs. But emergencies do come up, and knowing the signs can help you make a quick decision during those crucial first moments. Has ingested something toxic like antifreeze, human prescriptions or human foods such as chocolate and chewing gum. Keep in mind; you know your dog best. Trust your instincts! 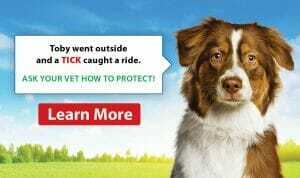 If your pup’s behaviour suddenly changes, a vet visit is in order. And don’t worry about contacting the vet too often. They’re medical professionals, and they want to help. Preventative healthcare at all ages can prolong your dog’s life.